Our rectangle planters are new in 2016. Besides coming in more sizes than any other concrete pots these are contemporary and wonderful. Putting a group of these planters together to make a wonderful display will be easy and fun to do. 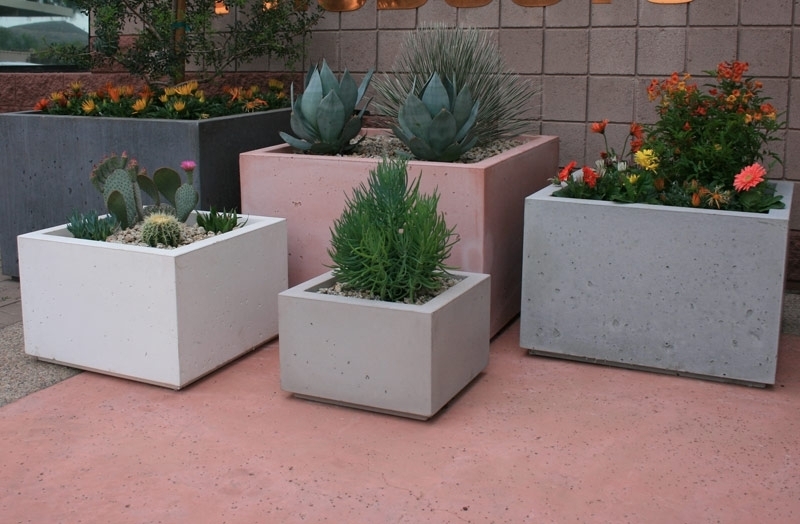 Simple lines, basic rectangle shapes and perfect for filling with colorful flowers, shooting palms, cactus or succulents and create a wonderful display that will compliment your landscaping. Place on a pedestal, next to a front entryway or on a patio or pool area. MDS183621 $524.00 18.00" 36.00" 21.00"
MDS224426 $917.00 22.00" 24.00" 26.00"
MDS275432 $1,282.00 27.00" 54.00" 32.00"
MDS183612 $315.00 18.00" 36.00 12.00"
MDS244816 $538.00 24.00" 48.00" 16.00"
MDS306020 $1,110.00 30.00" 60.00" 20.00"